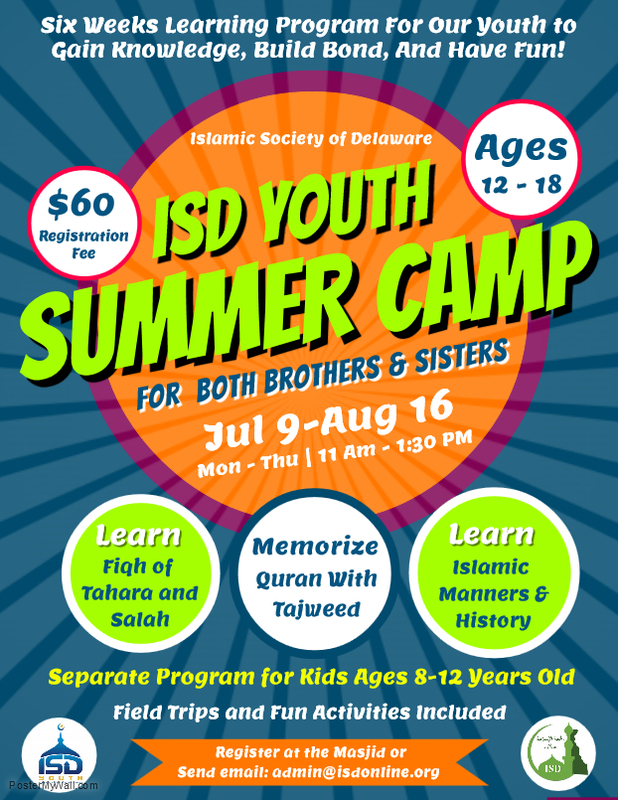 Sheikh Abdel-Hadi is conducting a 6-week extensive camp for the youth to gain knowledge of the deen this summer. This is going to be for brothers and sisters for ages 12-18. Registration is required and the fee is $60. There will be a separate program for younger kids, ages 8-12 years old.